Individuals who desire to purchase an established small business must be well prepared before the search process begins. Well managed, profitable and successful businesses with a bright outlook for the future are in short supply and very high demand. Business owners and business brokers alike have little patience and interest in wasting their valuable time with buyers who have not taken the appropriate steps to demonstrate that they are fully prepared to acquire a business. How does a buyer define themselves as being a “serious” candidate and not a casual, curious, tire kicker? The goal of this article is to outline the steps that a business buyer should take in advance so that they can stand out and be recognized as a serious and credible buyer. Preparing a business for sale takes considerable work on behalf of the business broker and seller. Just a few of the steps include valuing the business, preparing the Confidential Business Review (executive summary), and organizing all of the corporate, financial, and tax documents. For a buyer to be recognized as a serious candidate, they too have a similar process and work that needs to be accomplished prior to being in a position to venture in the marketplace and begin assessing business opportunities. So, what makes a buyer a serious candidate? Who will be buying the business? Just you, you and your spouse, a partner, an investor? Why you are interested in buying a business? What transferrable skills do you possess that qualify you for managing the business? How will you will be financing the purchase of the business? If bank financing will be utilized, a prequalification letter should be included. How much money do you have for a down payment? What is your timetable to complete the acquisition? Who is your advisory team? Which attorney will be drafting the Asset Purchase Agreement and facilitating the closing? Do they have experience with business acquisitions? 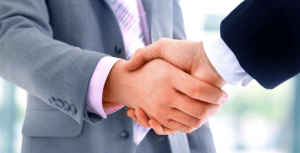 What are the contingencies for the business acquisition? Do you have to leave a current job? Do you have to secure funding from a partner or a bank? Do you have to relocate and sell a house? How will the buyer be funding the purchase? Buying and selling a small business requires a two way exchange of information. The buyer should be ready to disclose the amount they can invest and have a detailed plan on how they will finance the entire transaction. The idea that the seller is going to finance the sale is not a plan and this type of buyer will be quickly dismissed. Business brokers can be a great source for recommendations on which lenders are appropriate and likely to finance the business they represent. The buyer should have a current personal financial statement prepared. If bank financing will be utilized, the buyer should be clear on their borrowing capacity and have a lender prequalification letter in hand (a banker can prepare this in a matter of hours). Don’t expect the broker or business seller to provide complete access to sensitive and confidential business documents without receiving assurances that the buyer has the appropriate resources to either purchase the business outright or obtain a business acquisition loan. What industry experience or transferrable skills does the buyer have? The optimal situation is when the prospective buyer has direct industry experience. This is especially pertinent when bank financing will be involved. Obviously, every business is different and each will have unique requirements for successful ownership. For some businesses, the buyer may be able to satisfy this requirement by having related practical work experience or transferrable skills. Certain businesses may require licenses, certifications, or a particular expertise to operate. If the buyer does not possess these it will be critical to confirm that there is a manager or key employee that has these qualifications. In other situations, the business may be very specialized and a buyer lacking a critical credential will be disqualified from obtaining bank funding. These issues should be discussed early in the process as the business broker will need to determine if you are managerially qualified to operate the business. What is the type of business the buyer is seeking and why? A serious buyer has developed a detailed and concise “investment criteria” for the business they seek to acquire. Several investment criteria attributes will include the type of business, the industry, the geographic location, the size of business, and the price/value of the enterprise. Serious buyers will focus on enterprises which are suited to their background and qualifications. A buyer who inquires about an industrial packaging distributer, a restaurant, and a custom millwork company will not be treated as a serious candidate. Having an investment criteria that relates only to “profitable businesses” without regard to the business type, industry served, geographic location, and size is a clear red flag that the candidate has not put the proper time into honing their acquisition objective. Successful entrepreneurs recognize that there is no such thing as a perfect company. Business ownership involves taking on some level of risk and acquiring a business is no different. Buyers who seek to purchase a business 100% free of any flaws will be searching for a very long time. There will be areas of improvement for every business and the buyer will have to make a decision as to which negative elements are acceptable and which ones are not. Buyers who are too risk adverse may just not be cut out for small business ownership and being an employee is a more suitable career objective. Additionally, buyers often fail to realize that there is a limited supply of great businesses for sale…those that have year over year revenue growth, excellent profits, and bright prospects for continued advancement. Many of these businesses sell for the full listing price and for these types of successful businesses, buyers should be careful when submitting an offer less than 90% of what it is listed at. Most of the time there are multiple buyers who are evaluating the business and those candidates who submit, either a low-ball offer or an offer with unrealistic terms attached, will be wasting the valuable time of all parties involved not to mention possibly burning a bridge with the business seller and eliminating themselves from consideration. A serious buyer is well organized, has done their research, and knows what they want and what they can afford. They are decisive and capable of moving through the process in a timely and methodical fashion. If a partner, spouse, or investor will be involved in the acquisition, these individuals are consulted with in advance and are in agreement with the defined objectives. If advisors will be assisting in the evaluation, the advisors are aware of the acquisition search and are on standby for their assignment. A serious buyer should have an understanding of how businesses are valued in addition to a comprehension of the typical steps in the acquisition process. They are prepared with a list of well thought and detailed questions designed with the objective of determining if the opportunity meets their investment criteria. A serious buyer recognizes that a “quick no” is far better than a “slow no” and they tackle those elements from the outset that would disqualify the business from being acquired. Once the opportunity is qualified, a serious buyer is in a position to make a ‘realistic offer’ and provide a letter of intent or terms sheet. A professional support team has been identified for drafting the Asset Purchase Agreement and facilitating the transaction closing. Lastly, a serious buyer will understand the due diligence process and already have their checklist in place. Funding for the acquisition has been planned and money for an earnest money deposit is liquid and available. A serious buyer is honest, direct, and forthcoming. Now is not the time to be cagey, cute, or evasive. You want to convey at the earliest opportunity your investment criteria, time table, financial wherewithal and reasons for pursuing the acquisition. This type of communication will build a foundation for trust and honest dialog in the weeks ahead. One viable solution for a serious buyer is to retain a business broker to assist with the search and business qualification. This approach provides far better results than a haphazard approach of firing off requests for information on any business posted on-line that catches their fancy. The business-for-sale industry is not the real estate industry. There are no open houses. This is a highly confidential process where professionals are retained to protect the sensitive data on the business for sale. A buy-side broker is paid by the prospective buyer for the time, energy, and work that is generated on their behalf. They are compensated to produce results. There is nothing worse than going through the myriad of steps in preparing a business for sale to find a buyer that is not properly prepared nor has gone through the logical thought, planning, and preparation for acquiring a business. I have outlined the information that a business broker and seller needs when qualifying a candidate as a serious buyer. In order to close a transaction all of this information is required so it best that the buyer come prepared with this data at the outset. Few parties in this arena, want to have their time wasted or patience tested. The bottom line is that when you find the right business, you are in a position to act and make a realistic offer. Successful businesses are few and far between and often receive multiple offers. Why should the business broker and seller invest time in you?